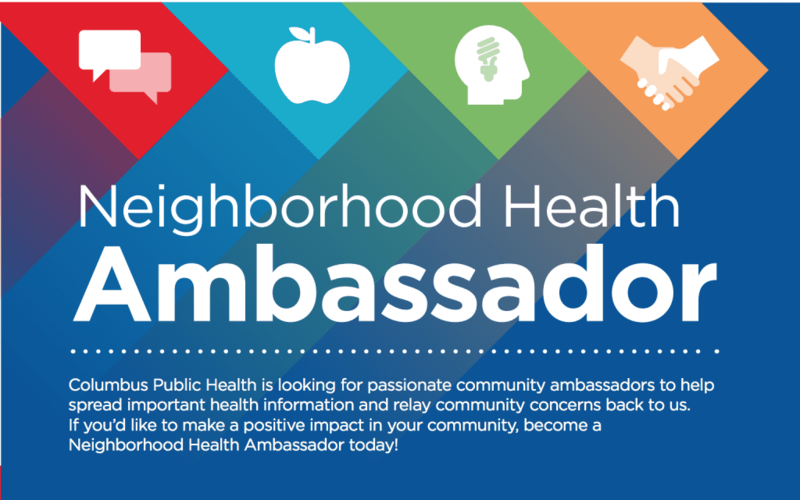 The Health Equity Promotion Program at Columbus Public Health is planning an information session for those interested in learning more about the Neighborhood Health Ambassador Initiative and the role of Neighborhood Health Ambassadors (NHAs). What is a Neighborhood Health Ambassador? Please see the attachment that provides an overview of this new initiative. All sessions will be held at Columbus Public Health, 240 Parsons Avenue, 43215. If you have any questions, please contact SAPotter@columbus.gov .